Ensure a better night’s sleep with blackout lining and fabrics that reduce light levels. Browse our huge range of stunning fabrics and order samples online. We’ll also bring our full range to you at your in-home appointment. Some blind types may allow a small amount of light in around the sides or between louvres. Opting for a Perfect Fit blind will help this, as the blind sits snugly within a special frame. 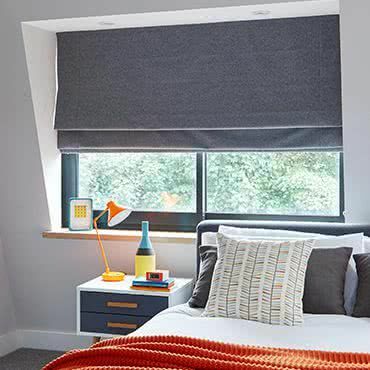 Take control over bright sunlight with stylish blackout blinds and linings. The ultimate guide to window blinds. Explore a range of styles and find the one that best meets your needs.